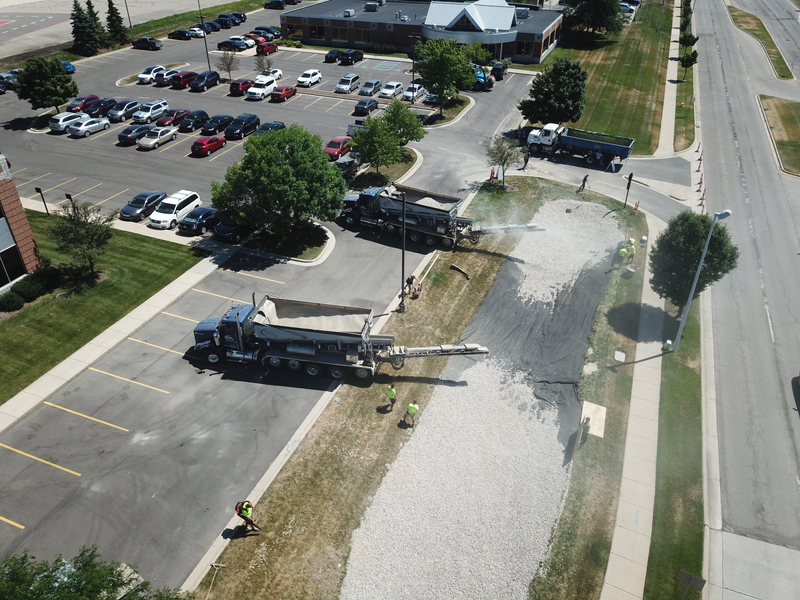 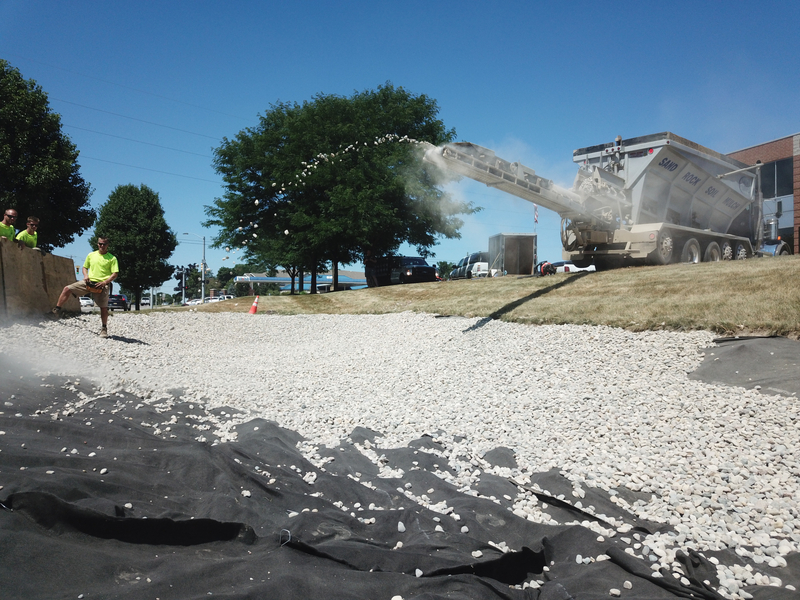 Mercantile Bank had issues with clogged drainage pipes in a roadside retention pond. 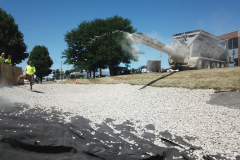 This resulted in major water backup on their property. 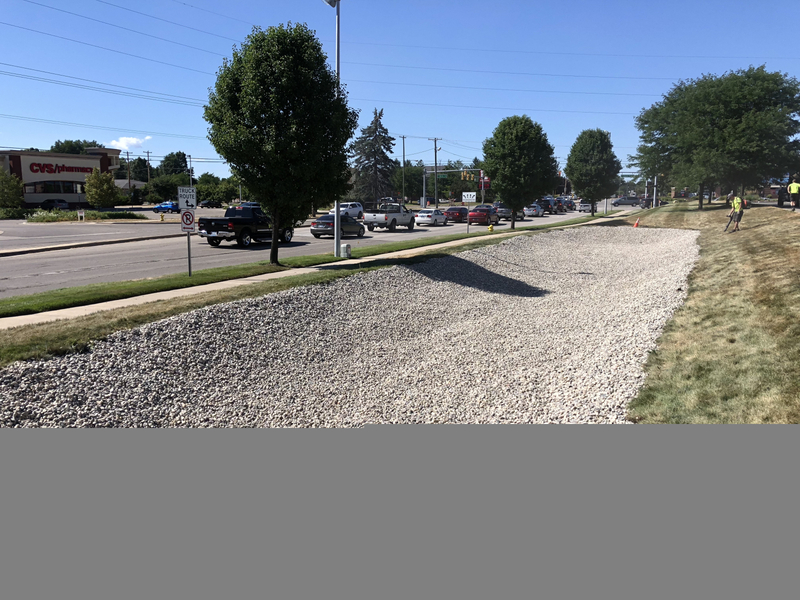 A local industrial contractor cleared the obstructions and restored proper drainage. 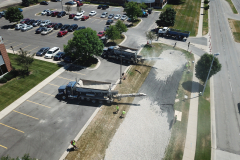 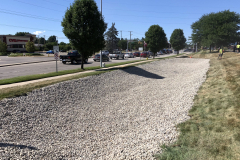 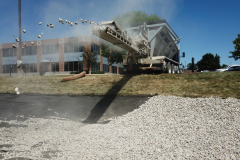 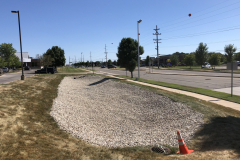 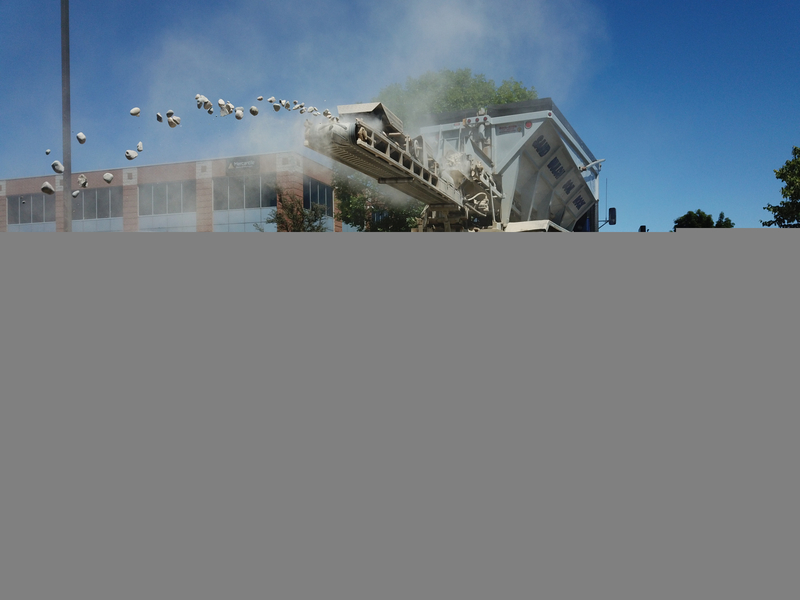 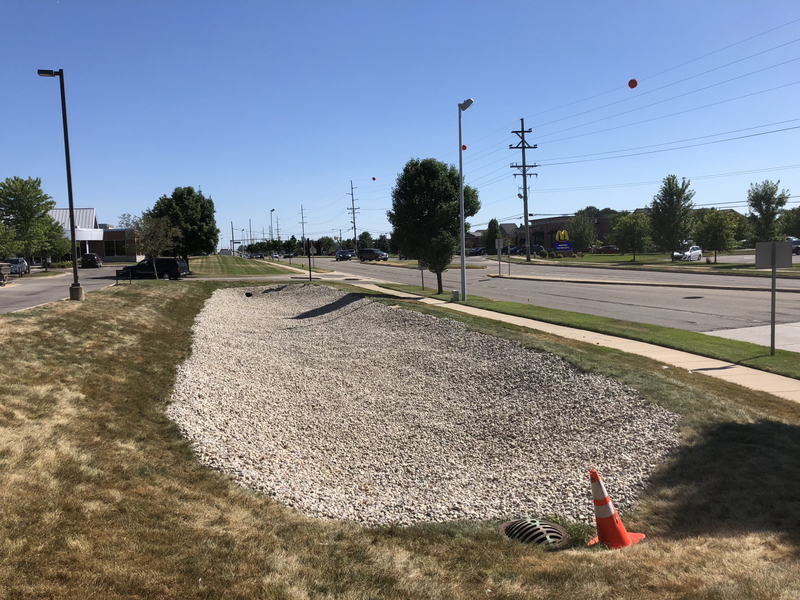 Superior Groundcover, Inc supplied two stone slingers to install 1″ – 2″ washed stone as the new base for the retention pond.